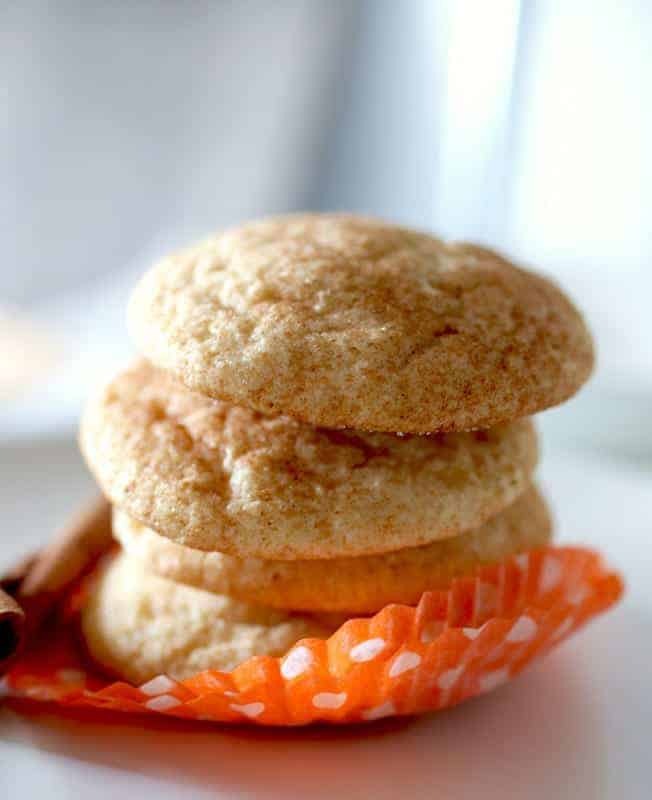 Coated with pumpkin spice, these easy-to-make gluten-free snickerdoodles are a lovely way to celebrate fall. You know the old saying, “Never ask a question you don’t want the answer to because you’ll get an answer you don’t want to hear”? It didn’t, however, stop me from asking Facebook friends if I should make snickerdoodles or chocolate chip cookies for a talk I was set to give at a local library. The truth: I wanted to make snickerdoodles. (No offense to my friend gluten-free chocolate chip cookies.) I mean, you can’t go wrong with either cookie but there’s just something perfect about a plate of snickerdoodles in the fall. Before I mix the dough, I scrolled through the facebook comments. The reply from my friend Amber jumped out at me: Have you ever made them with pumpkin pie spice instead of plain cinnamon? To. Die. For. I learned to do this from Pinch My Salt and never looked back. 1. I had NOT made snickerdoodles with pumpkin spice. 2. 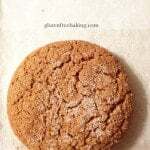 Why hadn’t I made pumpkin spice snickerdoodles? Clearly I needed to remedy this asap! Coating the cookies with pumpkin spice* wasn’t the only thing I did differently. 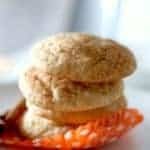 I decided to adapt my gluten-free snickerdoodle recipe and use Bob’s Red Mill Baking Flour Blend instead of a custom blend of flours. 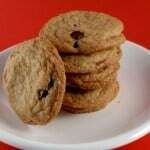 I’ve gotten lots of great feedback to the gluten-free chocolate chip cookie recipe I posted using the flour. So I wanted to try snickerdoodles with the flour to see how it worked. I had high hopes! 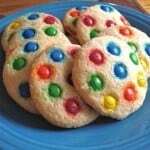 As with the original, the cookies baked up crisp on the edges and soft in the center. The buttery flavor, as Amber promised, went amazing well with the pumpkin spice. That’s the beauty of pumpkin spice. Since it combines the best of the baking spices, it makes everything taste better without overwhelming your taste buds. And, that my friends, makes for one heck of a good snickerdoodle. 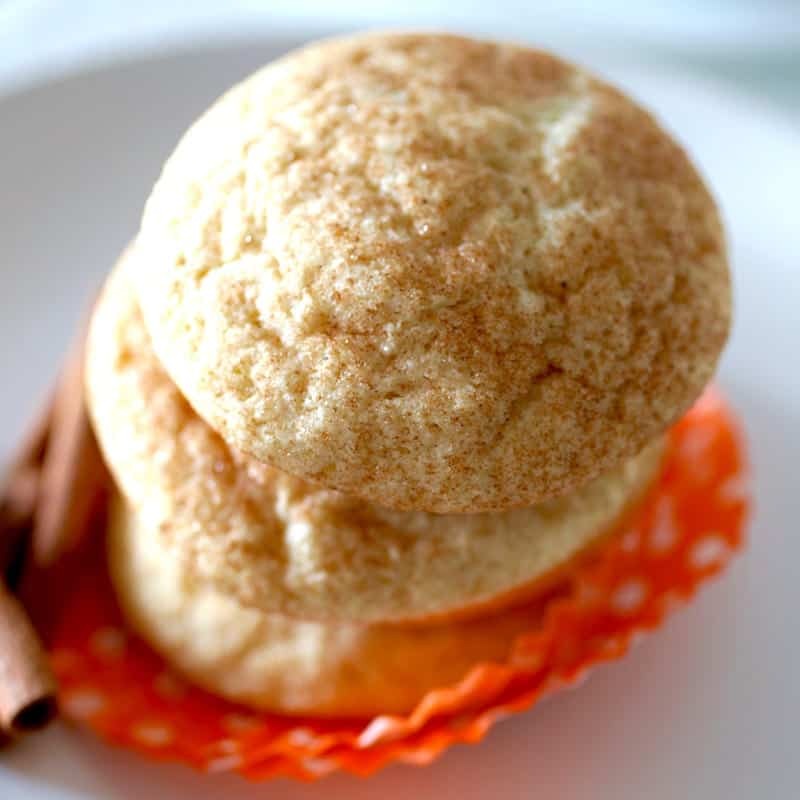 recipe inspired by Amber from Blue Bonnet Baker and by the classic snickerdoodles from Pinch My Salt. 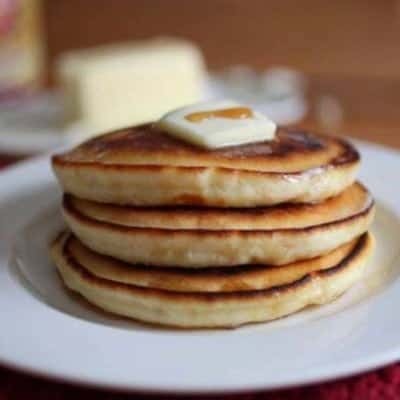 Baker's note: If you don't have cream of tartar on hand, replace both the cream of tartar and the baking soda with 1 teaspoon of baking powder. 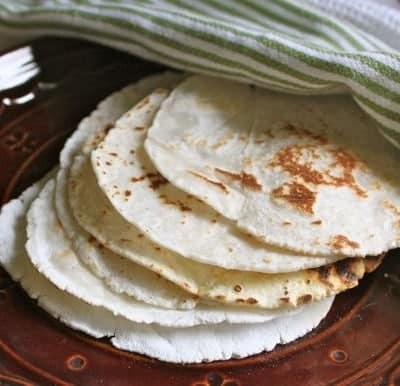 Preheat oven to 350 degrees F. Line two rimmed baking sheets with parchment paper. Whisk together the baking flour, cream of tartar, baking soda, and salt in a small bowl. In the bowl of a stand mixer fitted with the flat paddle attachment, combine the butter and granulated sugar. Cream on medium speed until a thick paste forms. Stop the mixer and scrape down the sides and bottom of the bowl. Turn the mixer to medium-low speed. Add the eggs, one at a time, and the vanilla extract. Beat until well combined, about 30 seconds. Stop the mixer and add the dry ingredients. Turn the mixer to medium-low and blend until a dough forms. Scoop the dough, about two tablespoons, and roll into a ball. Roll the dough in the pumpkin spice-sugar mixture. Place the dough on the prepared cookie sheet, about two inches apart. Bake until the edges are golden brown, about 12 minutes. Rotate the pans halfway through baking. Remove the cookies from the oven and transfer to a wire rack to cool. Store in an airtight container for up to four days or freeze the cooled cookies for up to two months. 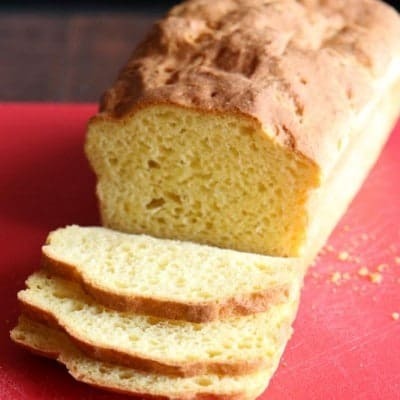 The original version of this recipe called for 2 cups of gluten-free flour. Unfortunately readers found that the cookies spread. During re-testing, I increased the flour to 2 1/2 cups. The cookies baked up thick and puffy. 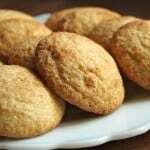 If you prefer a thin and crisp cookie, reduce flour to 2 1/4 cups. Thank you for this recipe. Super yummy! The vanilla isn’t listed in the steps. I think I should have added it with the butter mixture, but it was too late for that. I ended up refrigerating my dough & using a cookie scoop because the dough was pretty sticky. The cookies spread a lot. I wonder what I did wrong. My cream of tartar is pretty old. Could that be the problem? The cream of tartar should have been fine. It’s an acid and doesn’t lose potency over time, unless it gets wet. Thanks for your help. I’ll test it out with colder butter. I might also try with half butter and half shortening. Mine spread like crazy too. And when I started I was worried that my butter wasn’t soft enough. In fact, it was pretty firm. Refrigerating my dough helped me roll it, but the cookies still spread out like a pancake. I’m so sorry you had this happen. I retested the recipe this morning. You’re right. The dough was very soft. While mine didn’t spread like a pancake, the were flatter than they should have been. I increased the recipe to 2 1/2 cups flour. They cookies turned out great. The recipe now reflects this change. I’m sorry I didn’t retest after the first comment. I usually do. I’ll contact you privately to try and make up for the trouble this caused you. So, I’ve tried the recipe again with the modification. Oh my. They are delicious. And they will be in our regular cookie rotation. Pumpkin spice or not. Great! So glad to hear they worked!